Rectory Musings: Are You Sure You Want The Advent Joy? Are You Sure You Want The Advent Joy? Those jokes may not fill you with any sense joy, but deep joy lies at the heart of all that hear and say and pray and sing today. The irony is not lost on me that this Gaudate Sunday (gaudate which comes from the Latin to rejoice!) and in Advent and Christmas we sing ‘Joy to the World’ as we await the coming of Christ, but this time of the year often generates the highest frequency of incidents of depression and heartache. For the prophet Isaiah, joy is not about personal pleasure or *my* happiness or even the possession of a gift already unwrapped. The joy that Isaiah speaks of is rooted in a gut wrenching hope that the struggles and disappointments of life, will one day be fundamentally and finally resolved by God Himself. That hope and joy rises out of knowing what it is to be burdened and oppressed, to be the little guy, to feel like you no longer matter, or that your number may be up. That no one cares. No one notices. But the good news is that through a person whom God appoints, a new freedom and peace that is deep and satisfying is coming. To Jewish ears, this is not some pie in the sky political manifesto but resonates with the practice of everyday life. Through Isaiah, God speaks of Jubilee. As you know Jewish people observe a Sabbath every seventh day and rest from all work, remembering God doing the same after His acts of creation. Every seventh year is a special sabbath year and involves a similar rest for land, animals and people, but the seventh cycle of these seven years cycles is extra special. It is a sabbath of sabbaths. It is Jubilee. These words of God through Isaiah, were first spoken to a defeated and broken people whose city was razed to the ground, whose centre of worship had been decimated, whose loved ones have been slaughtered and raped, whose identity and very existence has been attempted to be wiped from the page of history. And into the silence following this genocide comes a shout of divine hope. During the Jubilee, property and people held as payment for debt were returned to the families to which they originally belonged, slaves were freed and sent home, prisoners could be pardoned and so on. The use of Jubilee language in this section of Isaiah’s prophesy is a clear indication that the freedom proclaimed by God is intended to be made permanent. Though the Jubilee was a rare event -- to be observed every fiftieth year -- God's servant is sent to announce that that our long-longed for liberation is now and that God will act now to free people from debt and oppression. But this freedom isn’t just physical, it’s emotional too - instead of feeling shame at being the defeated and humiliated underdog (heads hanging and wearing funeral clothes) they are to be welcomed as honoured wedding guests - anointed with oil and be-garlanded. This is a message of hope and assurance in God. This is the sort of message that makes us want to stand up and shout yes please, where do I sign, that makes us sing in spirit: I will greatly rejoice in the Lord, my whole being shall exult in my God. All this stands in stark contrast to the jostling to pay at the till for our Christmas shopping. This Advent hope and longed for joy taps into Archbishop Justin’s shock and shame at the state of a nation and culture that needs foodbanks to feed our nation’s hidden hungry. it is not good enough to excuse ourselves that it’s somehow ‘their’ fault because of choices ‘they’ have made when ‘we’ fail to speak out against or vote out the system that perpetrates it all. True joy this Advent and Christmas is marked not by jokes but by concrete actions - not by carol singing, but by rebuilding walls and lives and skills and bank balances. It is about dignity for the despised and hope for the hopeless and not just by a passing feeling. 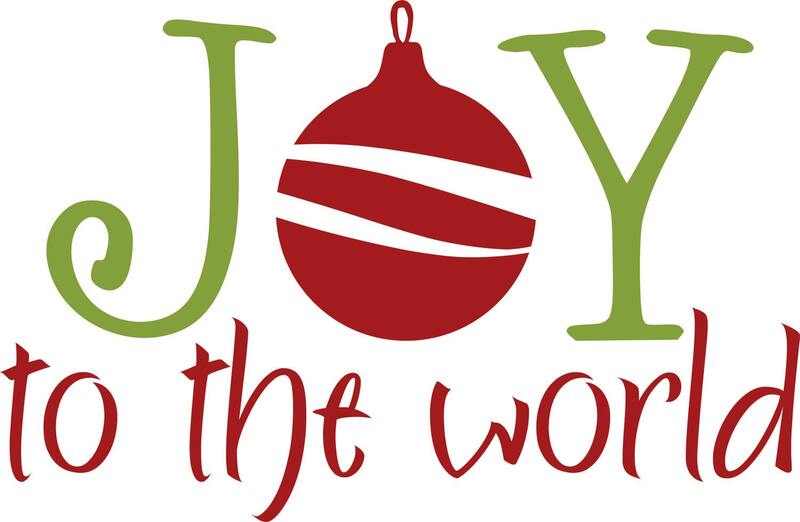 This is the ‘Joy to the World’ that we sing of - but not just in Advent. This is God’s new way of living. Always. It begins with us accepting John the Baptist’s call to re-orientating our lives God-wards in repentance. But then it must focus outwards to others. It is transformative substantive change. It is practical. It is local in our community. It will involve us mixing with others who may lack dignity and who feel humiliated by us and others like us. But it is has divine mandate… still. Jesus did it. Are you in?